Love the color. We use these for kids to sit on and it is terrible for this purpose. It leaves behind fiber and it causes the kids to itch. I had to order new rugs for that and I'm trying to figure out how to use this rug. I would return them if we hadn't had them for a few month already. I really do love the color! I returned this rug, though not because it does not look as pictured, or because it is not well made. It appears exactly as pictured and is indeed well constructed. I returned it because once it was in the dining area of my apartment, it was immediately apparent that this rug's casual style and particular colors do not work with my furniture, artwork, etc. Suitable for a casual interior and could work with many contemporary or vintage decor styles --- just not mine. 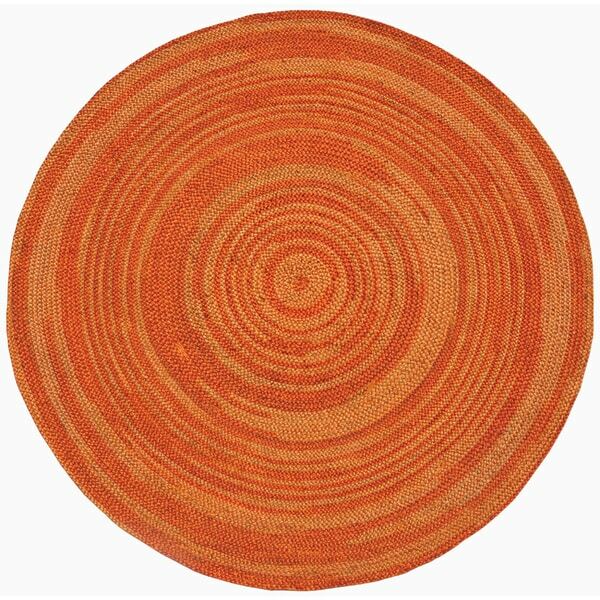 I loved the bright orange color of this rug, but found that it faded quickly. I had it in my eat-in kitchen for about a year. I flipped it over once but it faded again. I probably would not purchase again. While it is a nice rug... I cannot get the edges to flatten out....keeps curling up.